So In Love With Melbourne: Female Traffic Lights - how can you not love Melbourne? 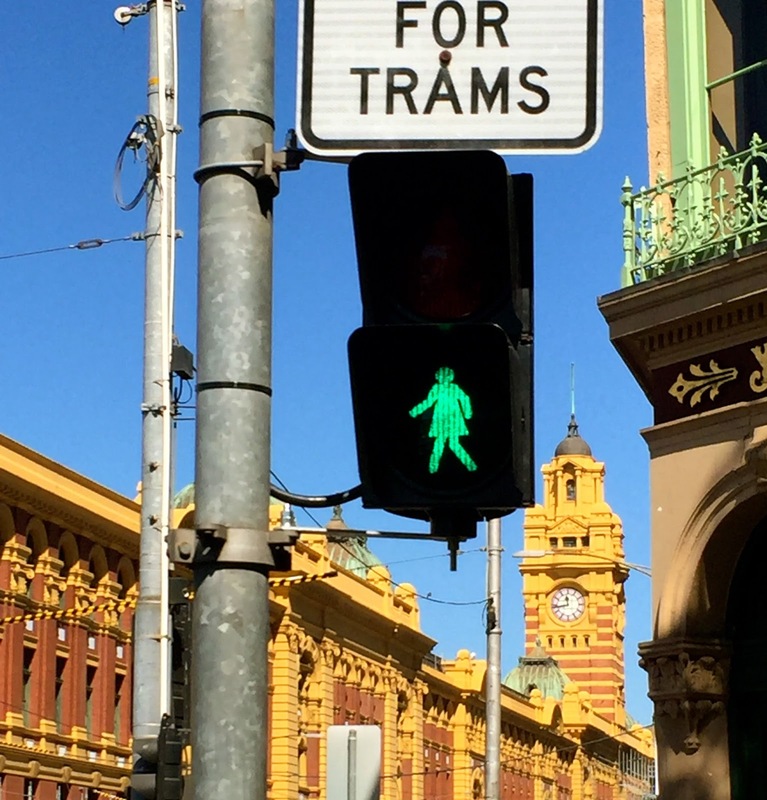 Female Traffic Lights - how can you not love Melbourne? 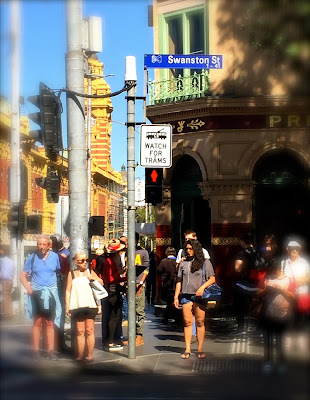 The town is busy discussing about the female pedestrians silhouettes on the 12 traffic lights, recently installed at the intersection of the always-bustling Flinders and Swanston Streets. Some view it as a significant symbolic gesture combating unconscious gender bias; it is a lovely touch, a befitting move in conjunction with the International Women’s Day. The cynical raised their eyebrows and questioned the necessity of such a meaningless act. Melbourne is out of its mind; why spend money on replacing a few traffic icons when the fund could have been used for more worthy causes? Think about the more pressing issues such as unemployment, crime rates, domestic abuse, and wait a minute! Who said woman must wear a dress? Regardless of the general disapprovals, we are glad that the project has provoked interesting conversation about gender equality and inclusiveness (amidst the beeping and buzzing sound of traffic lights). Angry taxpayers were assured that their hard-earned money has not gone into the controversial initiative. The 12-month light-replacement trial was funded by Camlex Electrical and hence, no public money was touched. The movement was initiated by the Committee for Melbourne, a not-for-profit organization comprising various business and community groups in Melbourne. The ultimate goal of the organization was to install (progressively and slowly through routine maintenance/ replacement) an equal number of male and female pedestrian signs in Victoria, as a way to openly demonstrate to the world at large that women represent half of the population.